Not to be confused with William II of Scotland or William II, Prince of Orange. For other people named William II, see William II (disambiguation). For other people named William of Orange, see William of Orange (disambiguation). 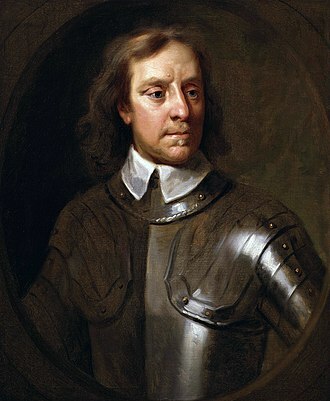 When William was two, he and his family fled to England after allied British-Hanoverian troops left the Republic and entering French troops defeated the army of the United Provinces, claiming liberation by joining the anti-Orangist Patriots. 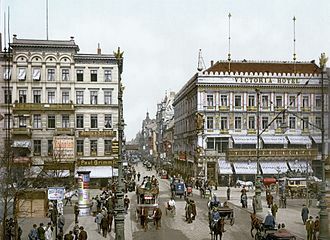 William spent his youth in Berlin at the Prussian court, where he followed a military education and served in the Prussian Army. 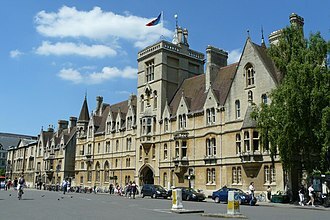 After this, he studied civil law at Christ Church, University of Oxford. William II had a string of relationships with both men and women which led him to be blackmailed. The homosexual relationships that William II had as crown prince and as king were reported by journalist Eillert Meeter [nl]. The king surrounded himself with male servants whom he could not dismiss because of his 'abominable motive' for hiring them in the first place. 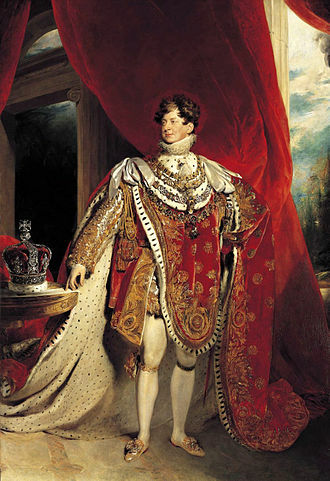 William II, by Nicaise de Keyser, 1846. 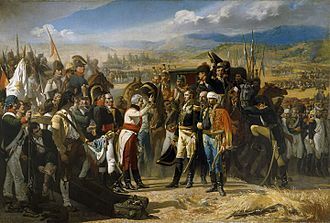 He entered the British Army, and in 1811, as a 19 year old aide-de-camp in the headquarters of Arthur Wellesley, 1st Duke of Wellington, was allowed to observe several of Wellington's campaigns of the Peninsular War. 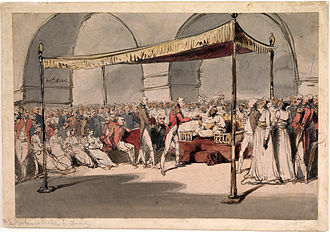 Though not yet 20, the young prince, according to the customs of the time, was made lieutenant colonel on 11 June 1811 and Colonel on 21 October that year. On 8 September 1812 he was made an aide-de-camp to the Prince Regent and on 14 December 1813 promoted to major-general. 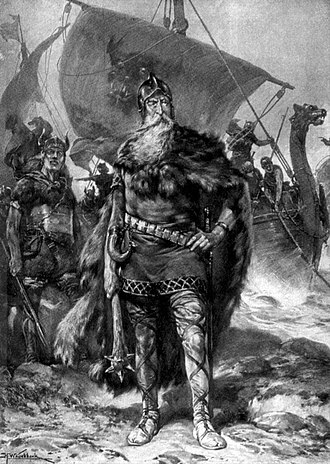 His courage and good nature made him very popular with the British, who nicknamed him "Slender Billy". 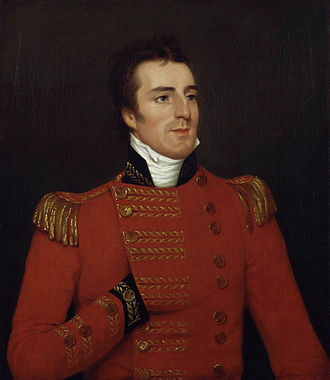 He returned to the Netherlands in 1813 when his father became sovereign prince, and in May 1814 succeeded Sir Thomas Graham as the highest-ranking officer of the British forces stationed there. On 8 July 1814, he was promoted to lieutenant-general in the British Army, and on 25 July to general. As such, he was senior officer of the Allied army in the Low Countries when Napoleon I of France escaped from Elba in 1815. He relinquished command on the arrival of the Duke of Wellington, and, though this was his first real battle, fought with the title of "General" I Allied Corps at the Battle of Quatre Bras (16 June 1815) and the Battle of Waterloo (18 June 1815), where he was wounded. He was 23. As a sign of gratitude for what the Dutch throne styled "his" victory at Waterloo, William was offered Soestdijk Palace by the Dutch people. The British army lieutenant and military historian William Siborne blamed many casualties during the Waterloo Campaign on William's inexperience, incompetence, desperation to save face, and grossly-inflated opinion of his own military abilities. In response, Siborne was accused by Lieutenant-General Willem Jan Knoop of many inaccuracies and contradictions. An inspection of the archives of Siborne by General Francois de Bas in 1897 confirmed the selective use of sources and "numerous miscounts and untruths". The defamation of the Prince of Orange and lack of recognition for his role during the Battle of Quatre Bras is attributed by some to efforts common to the 19th century to over-glorify and exaggerate Britain's military successes. 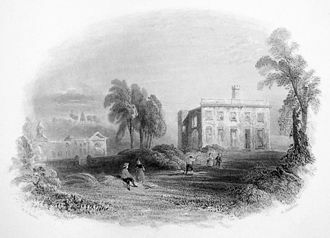 In 1814, William became briefly engaged with Princess Charlotte of Wales, only daughter of the Prince Regent, later George IV of the United Kingdom and his estranged wife Caroline of Brunswick. The engagement was arranged by the Prince Regent, but it was broken because Charlotte's mother was against the marriage and because Charlotte did not want to move to the Netherlands. On 21 February 1816 at the Chapel of the Winter Palace in St. Petersburg, William married Grand Duchess Anna Pavlovna of Russia, youngest sister to Czar Alexander I of Russia, who arranged the marriage to seal the good relations between Imperial Russia and the Netherlands. On 17 February 1817 in Brussels, his first son Willem Alexander was born, the future King William III. Already in 1819, he was blackmailed over what Minister of Justice Van Maanen termed in a letter his "shameful and unnatural lusts": presumably bisexuality. Also his signing the constitutional reform of 1848, enabling a parliamentary democracy, may have been partly influenced by blackmail. He may also have had a relationship with a dandy by the name of Pereira. William II enjoyed considerable popularity in what is now Belgium (then the Southern Netherlands), as well as in parts of the rest of the Netherlands for his affability and moderation, and in 1830, on the outbreak of the Belgian revolution, he did his utmost in Brussels as a peace broker, to bring about a settlement based on administrative autonomy for the southern provinces, under the House of Orange-Nassau. 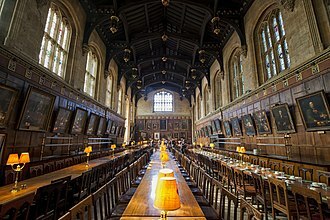 His father then rejected the terms of accommodation that the son had proposed without further consultation; afterwards, relations with his father were once again tense. In April 1831, William II was sent by his father to be the military leader of the failed Ten Days' Campaign in order to recover what would become Belgium. They were driven back due to French intervention on the side of the rebels. European mediation established Leopold of Saxe-Coburg-Gotha on the throne of a new monarchy. Peace was finally established in 1839 when Belgium was recognized by the Netherlands. On 7 October 1840, on his father's abdication, he acceded to the throne as William II. Although he shared his father's conservative inclinations, he did not intervene in governmental affairs nearly as much as his father had. There was increased agitation for broad constitutional reform and a wider electoral franchise. Although William was certainly no democrat, he acted with sense and moderation. 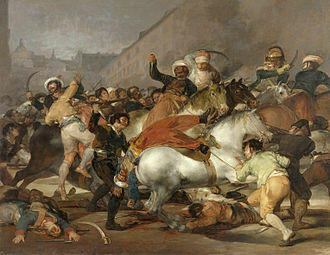 The Revolutions of 1848 broke out all over Europe. In Paris the Bourbon-Orléans monarchy that had stolen "his" southern provinces fell. Warned that the revolution might spread to the Netherlands next, William decided to institute a more liberal regime, believing it was better to grant reforms instead of having them imposed on him on less favourable terms later. As he later put it, "I changed from conservative to liberal in one night". He chose a committee headed by the prominent liberal Johan Rudolf Thorbecke to create a new constitution. 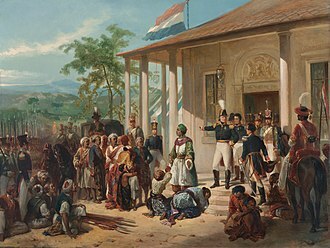 The new document provided that the Eerste Kamer (Senate), previously appointed by the King, would be elected indirectly by the Provincial States. The Tweede Kamer (House of Representatives), previously elected by the Provincial States, would be elected directly via census suffrage in electoral districts, with the franchise limited to those who paid a certain amount in taxes. 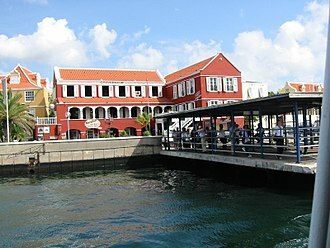 Ministers were now fully responsible to the Tweede Kamer. For all intents and purposes, the real power passed to the Tweede Kamer, and the king was now a servant of government rather than its master. That constitution of 1848, amended numerous times (most notably by the replacement of census suffrage by universal manhood suffrage and districts with nationwide party-list proportional representation, both in 1917) is still in effect today. He swore in his first and only cabinet under the terms of the new constitution a few months before his sudden death in Tilburg, North Brabant (1849). He is a recurring character in the historical novels of Georgette Heyer, most notably in An Infamous Army. William appears as a character in the historical fiction novel Sharpe's Waterloo by Bernard Cornwell, and its television adaptation, in which he is portrayed by Paul Bettany. William Alexander Paul Frederick Louis (1817–1890), William III, King of the Netherlands (1849–1890). William Alexander Frederick Constantine Nicolas Michael (1818–1848). Nicknamed Sascha. Never married. William Frederick Henry "the Navigator" (1820–1879). Married firstly Princess Amalia of Saxe-Weimar-Eisenach and secondly Princess Marie of Prussia, but had no issue. Wilhelmina Marie Sophie Louise (1824–1897). Married Karl Alexander, Grand Duke of Saxe-Weimar-Eisenach, and had issue. ^ DBNL. "Nieuw Nederlandsch biografisch woordenboek. Deel 1 · dbnl". 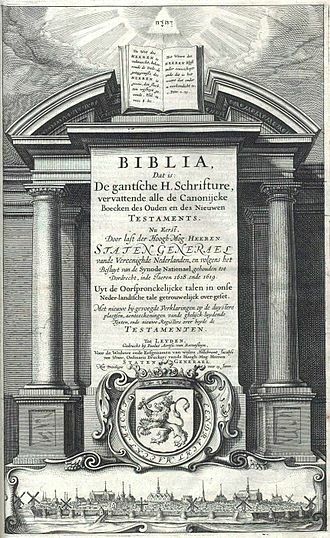 DBNL (in Dutch). Retrieved 2017-09-01. ^ "Z.M. (koning Willem II) koning Willem Frederik George Lodewijk, koning der Nederlanden, groothertog van Luxemburg, hertog van Limburg, prins van Oranje-Nassau". www.parlement.com (in Dutch). Retrieved 2017-09-01. ^ "Willem Frederik George Lodewijk (1792-1849)". www.scheveningen1813-2013.nl. Retrieved 2017-09-01. ^ News, Gay. "Intense Male Friendships Made King Willem II Liable to Blackmail". www.gay-news.com. Retrieved 2017-09-01. ^ Jeroen van, Zanten (2013). Koning Willem II : 1792-1849. dl. 2. Amsterdam: Boom. ISBN 9461051859. OCLC 864666575. ^ "Willem II: intelligent, chantabel en in de knel". NRC (in Dutch). Retrieved 2017-09-01. ^ "BOEKEN: Jeroen van Zanten, Koning Willem II (1792-1849)". Historisch Nieuwsblad (in Dutch). Retrieved 2017-09-01. ^ Meeter, E. (1857). Holland: its institutions, its press, kings and prisons. ^ Meeter, E. (1857). Holland: its institutions, its press, kings and prisons. p. 320. ^ "No. 16494". The London Gazette. 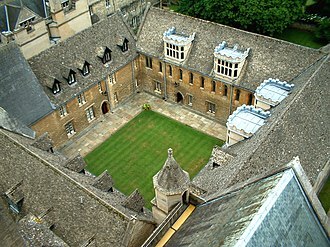 11 June 1811. p. 1068. ^ "No. 16533". The London Gazette. 22 October 1811. p. 2033. ^ "No. 16642". The London Gazette. 8 September 1812. p. 1812. ^ "No. 16824". The London Gazette. 14 December 1813. p. 2528. ^ Andrew Bamford (2014). 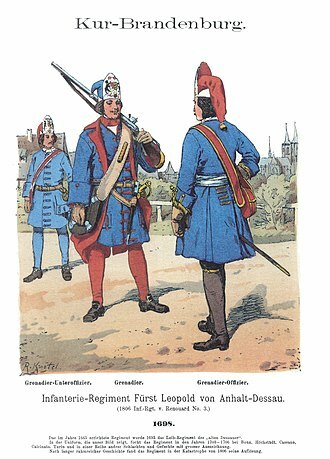 "The British Army in the Low Countries, 1813-1814" (PDF). The Napoleon Series. Retrieved 16 August 2015. ^ "No. 16915". The London Gazette. 9 July 1814. p. 1393. ^ "No. 16924". The London Gazette. 9 August 1814. p. 1609. ^ Hofschröer, Peter, 1815, The Waterloo Campaign, The German Victory p137, p200. ^ "Willem II, Koning (1792-1849)". Het Koninklijk Huis (in Dutch). Retrieved 15 December 2014. 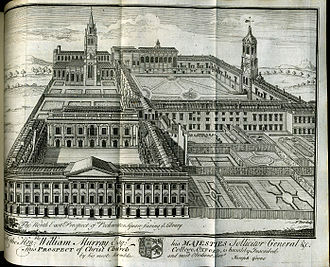 ^ "Geschiedenis van het Paleis Soestdijk". Paleis Soestdijk (in Dutch). Retrieved 16 June 2015. ^ "Koning Willem II gechanteerd wegens homoseksualiteit". ^ Hermans, Dorine and Hooghiemstra, Daniela: Voor de troon wordt men niet ongestrafd geboren, ooggetuigen van de koningen van Nederland 1830–1890, ISBN 978-90-351-3114-9, 2007. ^ "9 December 1813 Het verheugd Rotterdam ontvangt Koning Willem I". Engelfriet.net. Retrieved 2014-05-14. ^ "De Grondwet van 1814". Republikanisme.nl. Retrieved 2014-05-14. The King is required to swear allegiance to the Constitution to faithfully discharge his duties. In contrast with many other European monarchic customs, in the Netherlands new monarchs are not crowned, the Dutch crown and other regalia have never been physically bestowed. The Netherlands historically and traditionally consists of mainly Catholics in the south and this is opposite of, for example, British customs, in which the monarch is crowned by the senior bishop of the Church of England. As the Dutch king is a King of the Netherlands rather than a King of the Dutch, Inauguration is strictly ceremonial as the successor to the throne instantly becomes the new monarch at the moment the former monarch dies or abdicates. 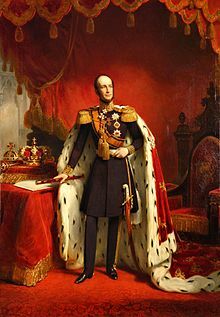 The last Dutch monarch to rule until his death was William III in 1890 and his successor was his daughter, however, she was not inaugurated until her coming of age in 1898. Her mother Emma of Waldeck and Pyrmont was regent from 1890 to 1898, Wilhelmina passed the throne to her daughter Juliana in 1948. 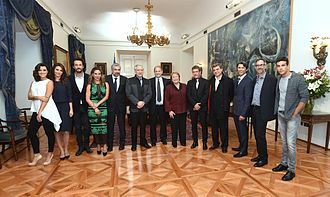 Previous monarchs have so far abdicated their thrones, the monarch, the heir to the throne, the royal family and the cabinet led by the prime minister meet in the Royal Palace of Amsterdam in the State Hall. The monarch signs the instrument of abdication, which is signed by the heir, members of the royal family. As soon as the instrument is signed, the new inauguration is complete, the previous monarch steps on the balcony of the palace, where the new monarch is introduced to the waiting public outside. After the signature, the new monarch proceeds from the palace to the Nieuwe Kerk, where the States General of the Netherlands and the cabinet along with guests of honour have assembled. Inside the church, symbols of the dignity and authority of the monarch, the crown symbolises sovereignty and dignity, the sceptre authority and the orb the territory of the Kingdom. The other two regalia – the sword of state and the standard of the bearing the coat of arms of the Netherlands – are carried by two senior military officers. William III was King of the Netherlands and Grand Duke of Luxembourg from 1849 until his death in 1890. He was the Duke of Limburg from 1849 until the abolition of the duchy in 1866, William was the son of King William II and Anna Pavlovna of Russia. On the abdication of his grandfather William I in 1840, he became the Prince of Orange, on the death of his father in 1849, he succeeded as King of the Netherlands. William married his cousin Sophie of Württemberg in 1839 and they had three sons, William and Alexander, all of whom predeceased him. After Sophies death in 1877 he married Emma of Waldeck and Pyrmont in 1879 and they had one daughter Wilhelmina, William was born on 19 February 1817 in the Palace of the Nation in Brussels, which was part of the United Kingdom of the Netherlands at the time. He was the eldest son of the future king William II of the Netherlands and he had three brothers, one of whom died in infancy, and one sister. In 1827, at the age of ten, he was made a colonel in the Royal Netherlands Army. In the 1830s, he served as lieutenant in the Grenadiers Regiment, in 1834, he was made honorary commander of the Grenadiers Regiment of Kiev nr.5 in the Imperial Russian Army. 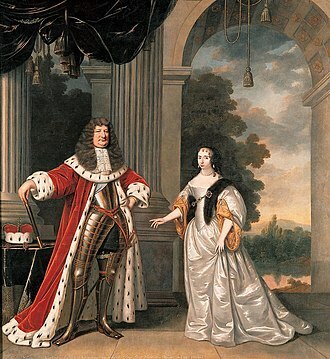 He married his first cousin, daughter of King William I of Württemberg and Grand Duchess Catherine Pavlovna of Russia and this marriage was unhappy and was characterized by struggles about their children. Sophie was an intellectual, hating everything leaning toward dictatorship. 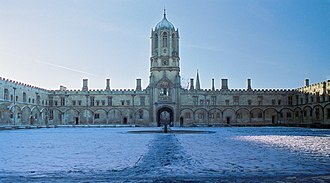 William was simpler, more conservative, and loved the military and he prohibited intellectual exercise at home, for which action Queen Victoria of the United Kingdom, who corresponded with Princess Sophie, called him an uneducated farmer. Another cause of tension was his capriciousness, he could rage against someone one day. William loathed the 1848 constitutional changes initiated by his father and Johan Rudolf Thorbecke and his father saw them as key to the monarchys survival in changing times. Sophie, who was a liberal, shared this view, William himself saw them as useless limitations of royal power, and would have preferred to govern as an enlightened despot in the mold of his grandfather, William I.
Nicolaas Pieneman was a Dutch painter, art collector and sculptor. Nicolaas Pieneman was born on 1 January 1809 in Amersfoort in the Kingdom of Holland and he was the son of painter Jan Willem Pieneman. Pieneman studied under his father and at the Royal Academy of Fine Arts in Amsterdam and he specialised in paintings of recent history and in portraits. He was a friend of William II of the Netherlands, he painted the kings inauguration in 1840, in July 1855, Jan Hendrik Donkel Curtius recorded the presentation of an oil portrait of King Willem III by Pieneman, together with the steamship Soembing. Pieneman died on 30 December 1860 in Amsterdam in the Netherlands and he was a member fourth class of the Royal Netherlands Academy of Arts and Sciences and by virtue of this, from 1852 of Natura Artis Magistra. He was a member of the Society Arti et Amicitiae and he was a knight of the Order of the Netherlands Lion, a Commander of the Order of Adolphe of Nassau and appointed to the Order of the Polar Star. Colonel is a rank of the British Army and Royal Marines, ranking below brigadier, and above lieutenant colonel. British colonels are not usually field commanders, typically they serve as staff officers between field commands at battalion and brigade level, the insignia is two diamond-shaped pips below a crown. The crown has varied in the past with different monarchs, the current Queens reign has used St Edwards Crown, the rank is equivalent to captain in the Royal Navy and group captain in the Royal Air Force. 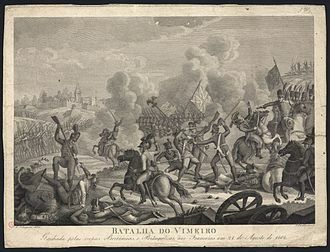 The rank of colonel was popularized by the tercios that were employed in the Spanish Army during the 16th and 17th centuries, general Gonzalo Fernández de Córdoba divided his troops in to coronelías ). 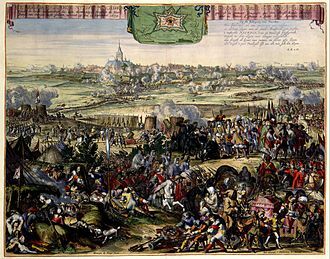 These units were led by a coronel and this command structure and its titles were soon adopted as colonello in early modern Italian and in Middle French as coronel. The modern English pronunciation of the word is derived from the French variant, the British Army has historically been organized around the regiment, with each regiment being raised and equipped or either directly by the crown or by a nobleman. By the end of 17th century in Great Britain, the colonel of a regiment was often a person who had been given Royal Assent to raise it for service. As such, he was required to cover all costs of the equipment, uniforms. Until the late 18th century most British regiments were known by the name of the colonelcy. It occasionally raised its own fighting units, such as battoemen, the reforms meant that the British government was now financially responsible for the pay and equipment of the troops in the service of the British Crown. 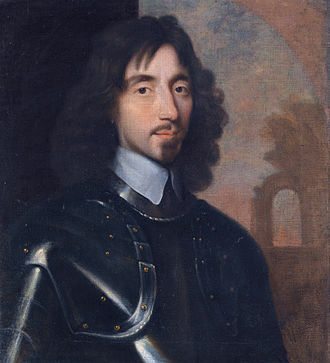 Colonels were no longer permitted to directly from the sale of officer commissions in their regiments. 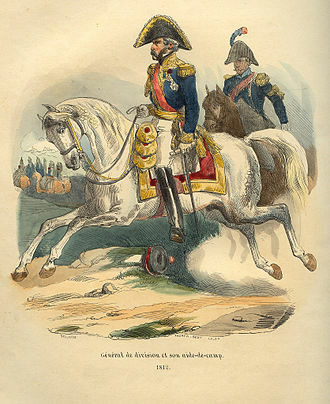 A lieutenant-colonel commanded the regiment in battle, by the beginning of the Napoleonic Wars, the title colonel of the regiment had become a sinecure appointment for distinguished generals and members of the royal family or British nobility. Despite an individual only being permitted to hold one colonelcy, it was a position as they were in financial charge of their regiments allowance from the government. Prince of Orange is a title originally associated with the sovereign Principality of Orange, in what is now southern France. 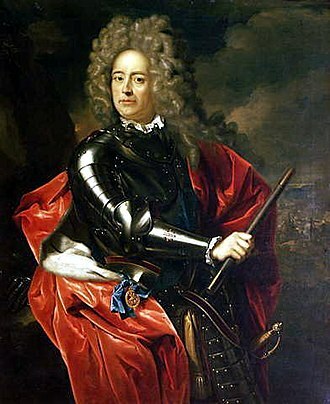 Under the Treaty of Utrecht of 1713, Frederick William I of Prussia ceded the Principality of Orange to King Louis XIV of France, the title is traditionally borne by the heir apparent of the Dutch monarch. The title descends via absolute primogeniture since 1983, meaning that its holder can be either Prince or Princess of Orange, the Dutch royal dynasty, the House of Orange-Nassau, is not the only family to claim the title. Rival claims to the title have been made by German emperors and kings of the House of Hohenzollern, the current users of the title are Catharina-Amalia, Princess of Orange suo jure, Georg Friedrich, Prince of Prussia, and Guy, Marquis de Mailly-Nesle. The Principality originated as the County of Orange, a fief in the Holy Roman Empire and his Occitan name is Guilhem, however, as a Frankish lord, he probably knew himself by the old Germanic version of Wilhelm. 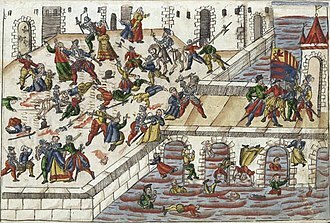 William ruled as count of Toulouse, duke of Aquitaine, the chanson appears to incorporate material relating to William of Gellones battle at the Orbieu or Orbiel river near Carcassonne in 793 as well as to his seizure of the town of Orange. As the Empires boundaries retreated from those of the principality, the prince acceded to the rights that the Emperor formerly exercised. Orange ceased to exist as a realm, de facto. Although no longer descended from Louis-Charles, a branch of the Mailly family still claim the title today, in 1714 Louis XIV bestowed the usufruct of the principality on his kinsman, Louis Armand of Bourbon, Prince de Conti. After his death in 1727 the principality was deemed merged in the Crown by 1731, in this way, the territory of the principality lost its feudal and secular privileges and became a part of France. The Treaty of Utrecht allowed the King of Prussia to erect part of the duchy of Gelderland into a new Principality of Orange, the kings of Prussia and the German emperors styled themselves Princes of Orange till 1918. Several of his descendants became stadtholders and they claim the principality of Orange on the basis of agnatic inheritance, similar to that of William the Silent, who had inherited Orange from his cousin René of Châlon. They did however have a claim, albeit distant, to the principality itself due to John William Frisos descent from Louise de Coligny, who was a descendant of the original Princes of Orange. 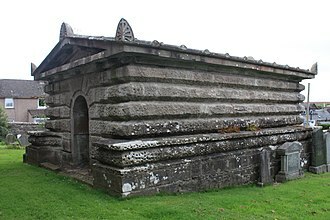 They could claim descent from the del Balzo, an Italian branch of the des Baux family, via the marriage of Princess Anne to William IV, Prince of Orange. Anne was the eldest daughter of George II of Great Britain, Elizabeth Woodwilles grandmother was Margherita del Balzo, another descendant of Tiburge dOrange. They claimed on the basis of the testament of Philip William, finally, they claimed on the basis that Orange was an independent state whose sovereign had the right to assign his succession according to his will. France never recognized any of this, nor allowed the Orange-Nassaus or the Hohenzollerns to obtain anything of the principality itself, the Oranje-Nassaus nevertheless assumed the title and erected several of their lordships into a new principality of Orange.